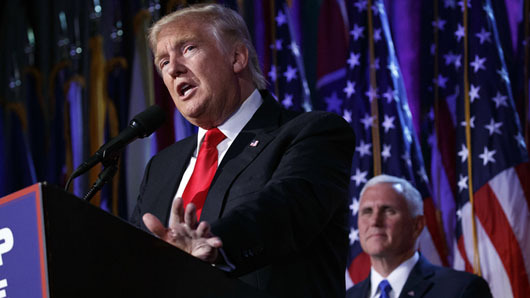 Christian conservatives overwhelmingly voted for Donald Trump over Hillary Clinton, turning the tide in key swing states and delivering Trump to the White House, according to the author of the new book “The Day Christians Changed America”. “When all the hyperbole is stripped away, and the countless actors who played minor roles are done pontificating about how it was they who shaped the November  outcome, the empirical evidence shows that it was Christian conservatives – especially an unheralded group known as SAGE Cons [an acronym for Spiritually Active, Governance Engaged Conservatives] – who pushed the Trump-Pence tandem to the top of the mountain,” said the author, Dr. George Barna, a leading researcher on the intersection of faith, culture, and politics. According to Barna, SAGE Cons, while constituting ten percent of all voters, cast their ballots for Donald Trump over Hillary Clinton by a 93 percent to one percent margin, and were key for Trump winning in Pennsylvania, Michigan, Wisconsin, Florida, and North Carolina. “Perhaps Trump was chosen by God for such a time as this,” Barna wrote. Ten percent were SAGE Cons, who had a 91 percent turnout rate and voted for Trump over Clinton by a 93 percent to one percent margin. Seven percent were evangelicals, who had a 61 percent turnout rate and voted for Trump over Clinton by a 79 percent to 18 percent margin. 24 percent were non-evangelical born again Christians, who had a 58 percent turnout rate and voted for Trump over Clinton by a 56 percent to 35 percent margin. 43 percent were notional Christians, who had a 59 percent turnout rate and voted for Trump over Clinton by a 49 percent to 47 percent margin. Five percent were non-Christian faith, who had a 57 percent turnout rate and voted for Clinton over Trump by a 71 percent to 20 percent margin. 21 percent were skeptics, who had a 57 percent turnout rate and voted for Clinton over Trump by a 60 percent to 27 percent margin. “The event was proclaimed to be for those who had not yet made up their mind if they were for or against Trump. The purpose was to help those who were on the fence to gain clarity. Conservative Christian leaders who had already declared themselves to be pro-Trump or anti-Trump were asked to stay home,” Barna wrote. The results of the meeting were immediately seen in the voting behavior of SAGE Cons who were influenced by the pastors in attendance, Barna said. Polling by the American Culture & Faith Institute in May 2016, the month before the meeting, showed that 76 percent of SAGE Cons planned to vote for Trump. By July, that number increased to 81 percent. It reached 86 percent in September, 88 percent in October, and 93 percent on election day.